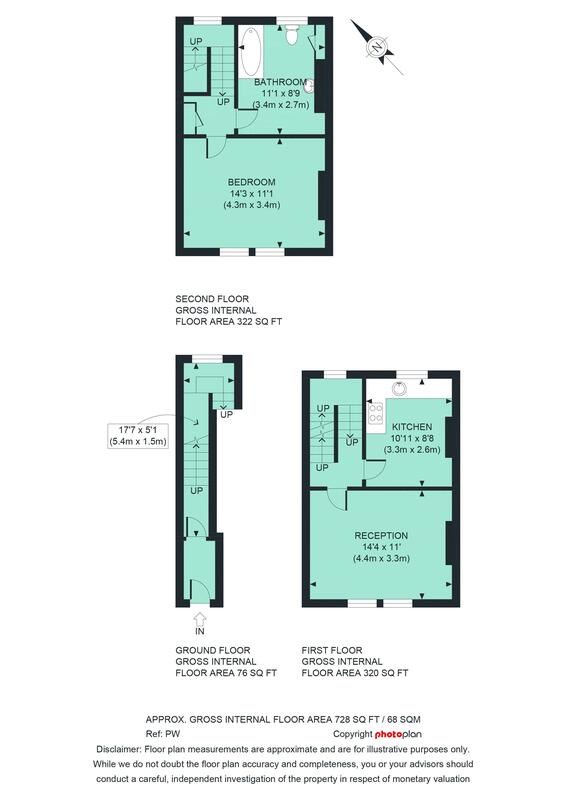 A spacious recently refurbished upper maisonette ( 728 sq ft / 68 sq m approx.) over the upper two floors above a dental practice on Askew Road. The maisonette has the advantage of a private access next door to the dentist's unit, as well as bright and well proportioned rooms which include a refitted kitchen and bathroom. The property is available part furnished if required. The property is located in the mid section of Askew Road near Sainsbury's and the Ginger Pig butcher and Deli.The maisonette is approximately 10 minutes walk from Ravenscourt Park (District Line tube), and minutes from the 94 bus route east and west on Goldhawk Road, which gives ease of access to Westfield and The Central Line tube and mainline stations. 728 sq ft / 68 sq m approx.